And it most definitely is. 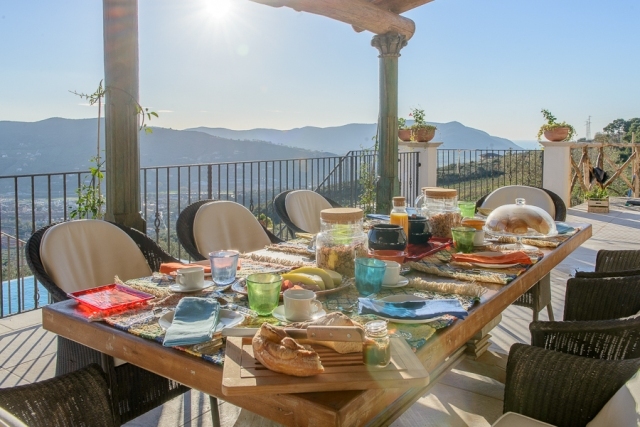 The princely Pinelli Estate is the brainchild of Englishman Nigel Carley and his partner Dawn who, after over three years of traipsing around Italy searching for somewhere to build an investment property, discovered the Cilento purely by chance. 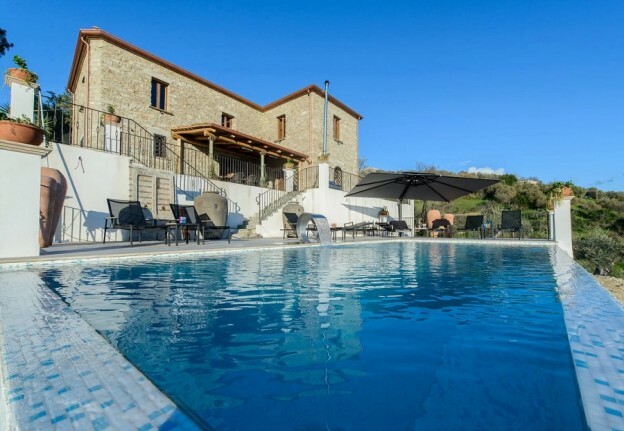 Wind forward two years and a long-neglected 18 acres of farm property that had been handed down over ten generations is now home to a quite magnificent four bedroom luxury villa surrounded by olive trees and grape vines. 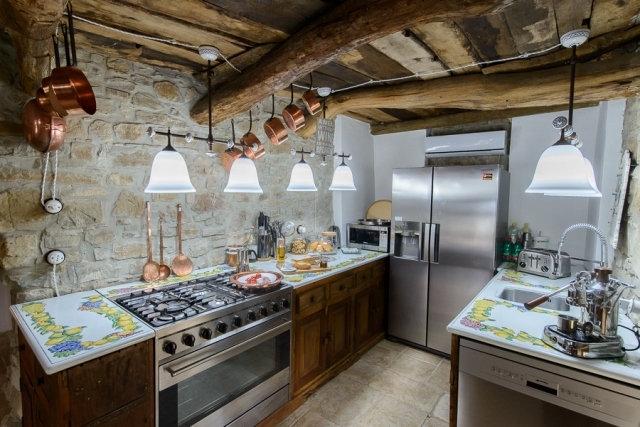 The villa, Il Rifugio, the once-abandoned farmhouse on the estate, has been a renovation labour of love and it shows. 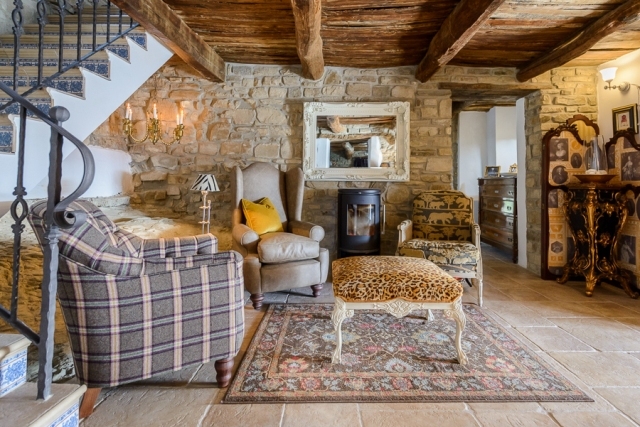 From the four individually styled guest rooms to the cinema room, dining room, kitchen and terrace, there is rustic character oozing from every pore. And no wonder, its history dates back to the 18th century, the exposed wooden beams and stonework revelling in their born-again Sunday best. I swear I can almost feel the old place smiling. 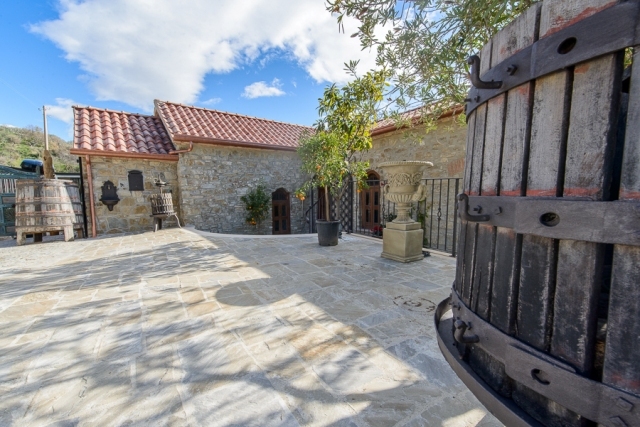 The Pinelli Estate is discreetly tucked away on one of the Cilento’s numerous mountain tops high above Agropoli, the largest town on the Cilentan coast. It’s just a 90-minute drive from Naples, and I remember waving on the A3 at the turnoff to Amalfi’s clogged coast road as I sped past on my way to Cilento. Even after you manage to find the small concealed entrance, there’s a narrow driveway to negotiate before Il Rifugio coyly reveals herself. For me, it all adds to the exclusivity of the villa’s retreat status. After a swift run through of the facilities by concierge Max, (who insists “he is available 24/7 for anything I need”) I’m left to explore the villa and relax a little after the early start out from the UK. The terrace and infinity pool are the stars of the show for me; large wide terrace with a sizeable table in the shade for eating outdoors and gazing out at the view; a spectacular spread of mountains and pastures and just a hint of the Med over to the right. There’s a Jacuzzi on one side and a gas barbecue on the other. 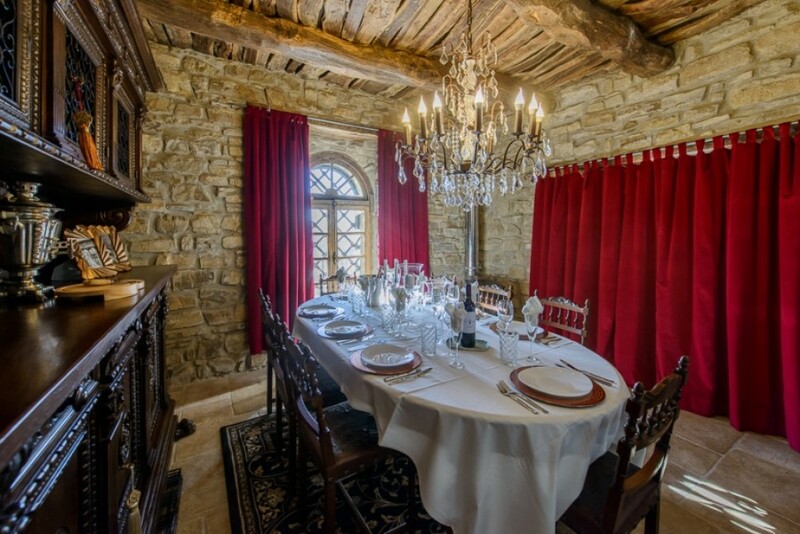 The kitchen is state of the art but somehow manages to hold hands beautifully with the rustic character of the villa as does the dining room, with a table big enough to seat eight comfortably. The cinema room is effectively a cosy lounge with a projector and a Netflix membership (a takeaway pizza from Bar Ideal up in Ogliastro the local village and you’re all set). Upstairs, my room is dominated by a large queen bed dressed in crisp high thread linen. A fluffy robe lies patiently atop it. There’s an Ipad sitting in a wall cradle and a Sonos system loaded up with a Spotify membership. A set of double doors leads to a snug but cleverly constructed wetroom with a walk in shower, high-end toilet and sink. I catch that view again from my bedroom window and thoughts of hopeful sunsets come tumbling into my head. Back downstairs there’s another surprise. Included in my stay, a fully crewed motor yacht is available for me to use from Agropoli harbour. Wait a minute. An exclusive villa and now a motor yacht to poodle around the Med. My millionaire lifestyle circle is complete. 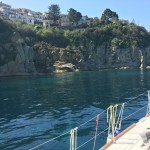 There are 50 nautical miles included for all guests, which might just be enough to get you to Amalfi and back. You can, of course, invest in more miles if you want to pay for them! Nigel and Dawn have compiled a list of their favourite tried and tested restaurants including family-owned La Civetta, practically on the doorstep. Momma Donna can also be tempted I’m told, to pop down to the villa and work her culinary magic from La Civetta in a private dinner. As the days and nights pass, I find the peaceful solitude and welcoming embrace of Il Rifugio the perfect contrast to a day out exploring the Cilento. 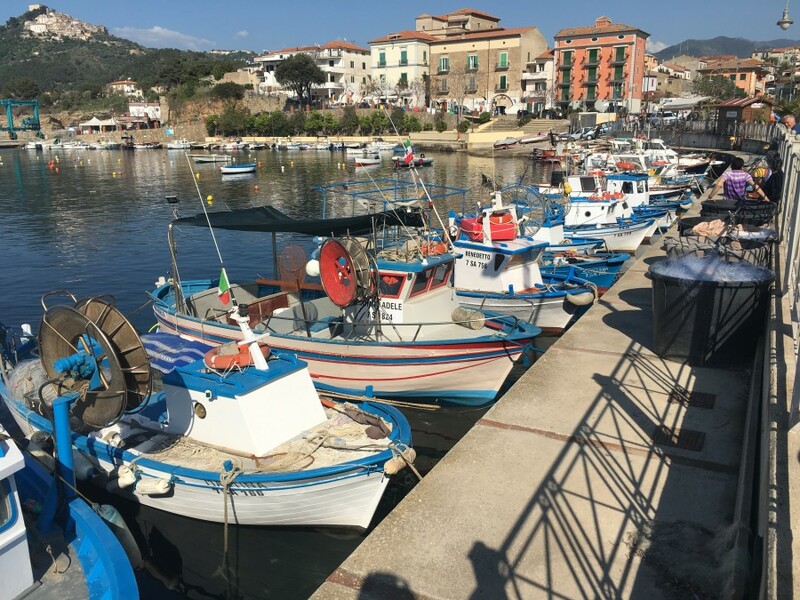 From the Pinelli Estate it takes just a few minutes to drive down into Agropoli and begin exploring a region where international tourism has inexplicably passed it by. 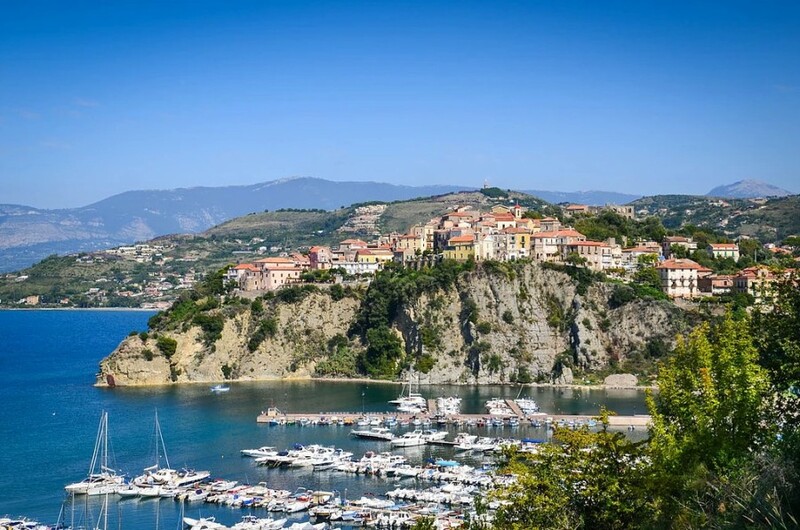 Agropoli’s fine old town with its cobbled streets and ancient castle battlements is a must visit. This is the home of Buffalo Mozzarella and there are plenty dairy farms you can visit and witness the cheese being made. 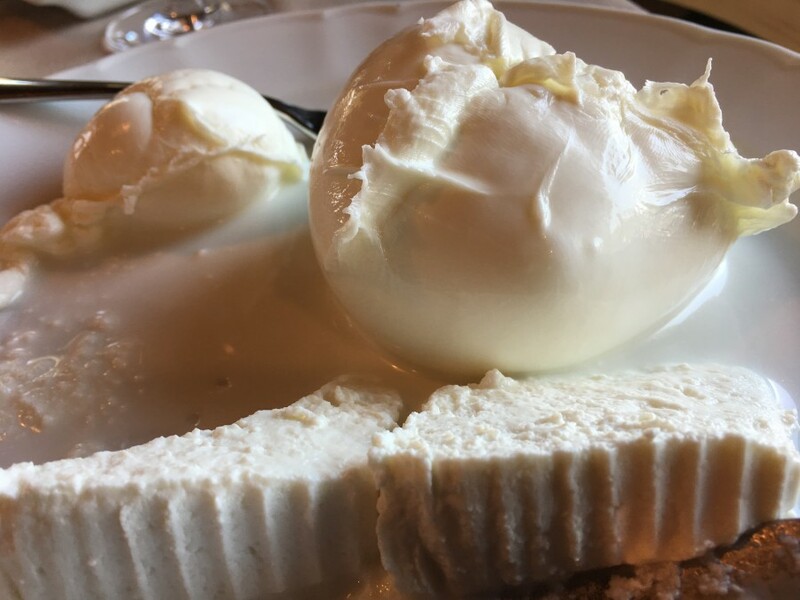 I visit Vannulo just a few minutes past Agropoli, one of the oldest farms in the region and certainly the first to produce organic buffalo mozzarella. It’s produced by hand each day after the 600 strong herd has been milked. 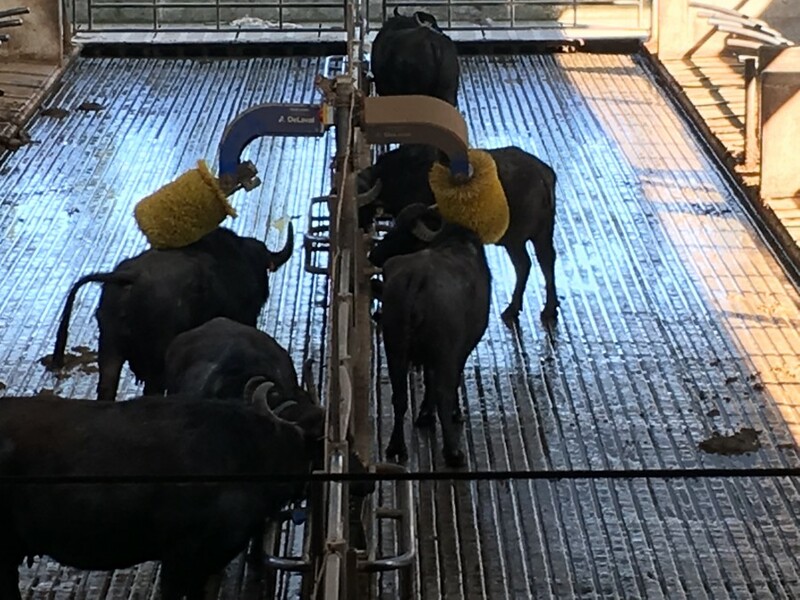 And this is no ordinary dairy, by the way, these buffalo take themselves to be milked, walking unaided into a special pen where a milking robot takes care of business. Then they stroll out and wander around their enclosure stopping for an automated back massage or a shower before being serenaded by the music of Mozart. Clearly, buffalo prefer Austrian composers to Italian! There are regular daily tours around the farm and an excellent restaurant using vegetables and herbs from their own garden plus, of course, plenty of that fresh mozzarella. Just a few minutes from here, at Paestum, you’ll find the best preserved ancient Greek temples outside of Greece. 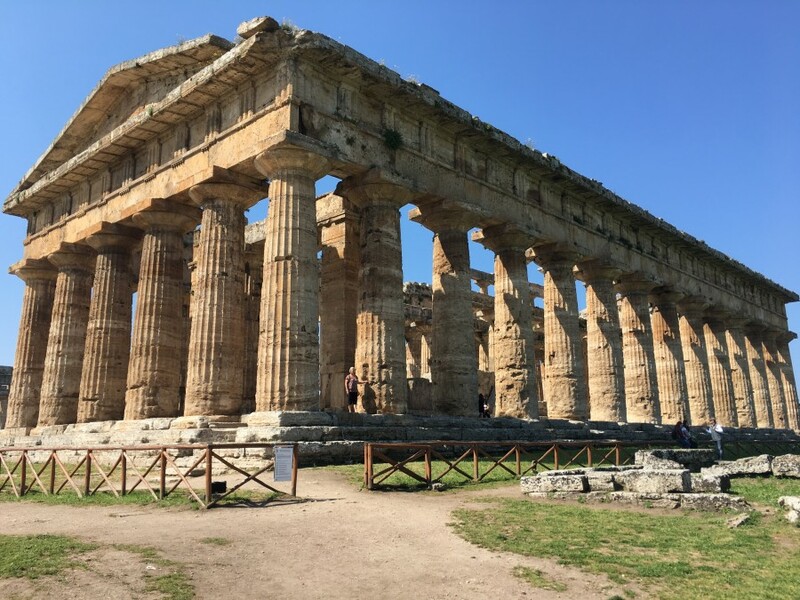 A Unesco World Heritage Site, Paestum’s huge temples date back to the 6th century BC honouring Poseidon the God of the sea. The entry ticket also gains you admission into a museum crammed with frescoes and ancient ceramics. I was particularly taken with pottery signed by the artist Python. Extraordinary. Drive back the other way and the breath-holding zigzag classic coast drive of the Cilento beckons with its 12 blue flag beaches and countless hidden coves and bays. But first, do not miss out the beautiful fishing towns of Santa Maria di Castellabate and San Marco. They are simply delightful to walk around and perhaps enjoy some authentic Cilentean hospitality. The Pinelli Estate is a very special place to stay. Nigel and Dawn are in the throws of renovating Villa Velius, a second property on the estate to complement Il Rifugio, but it’s not due to be completed until early 2019. As for me, my distant goat has wandered off, but I’m staying put on the terrace and getting another refill of that local vino rosso. My millionaire lifestyle can last a few more hours. Images of San Marco and Vannulo (c) Andy Mossack. 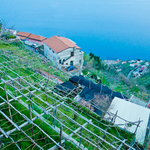 The Pinelli Estate Via Campanina 75, Ogliastro Cilento, Agropoli 84043. 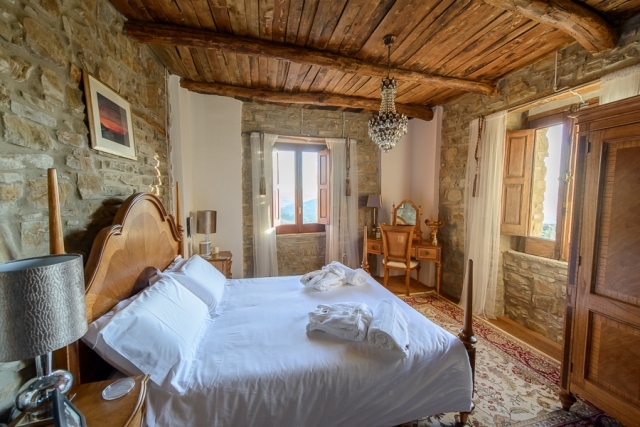 Il Rifugio has four double bedrooms. 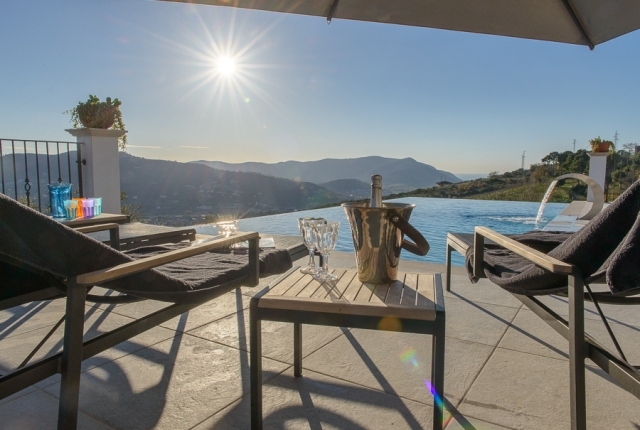 The villa is available to rent in its entirety on a weekly basis. Rates from £5,000 per week which includes the use of the villa’s Rizzardi motor yacht and crew up to 50 nautical miles during daylight hours. Fuel costs for any additional miles are charged at cost. 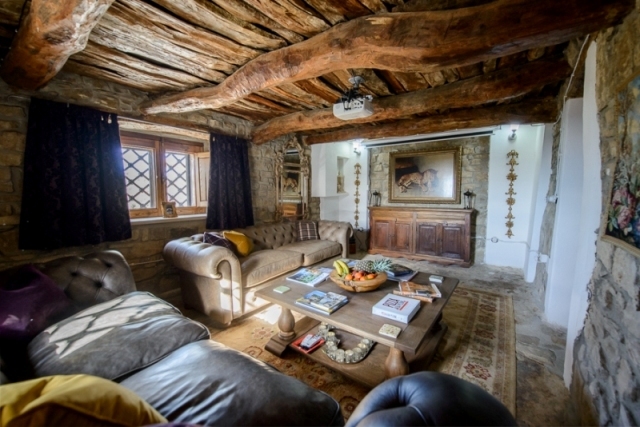 Vannulo Buffalo farm is just a few kilometres from Agropoli. As well as daily tours they have an excellent restaurant and a leather store with hand-made leather accessories.